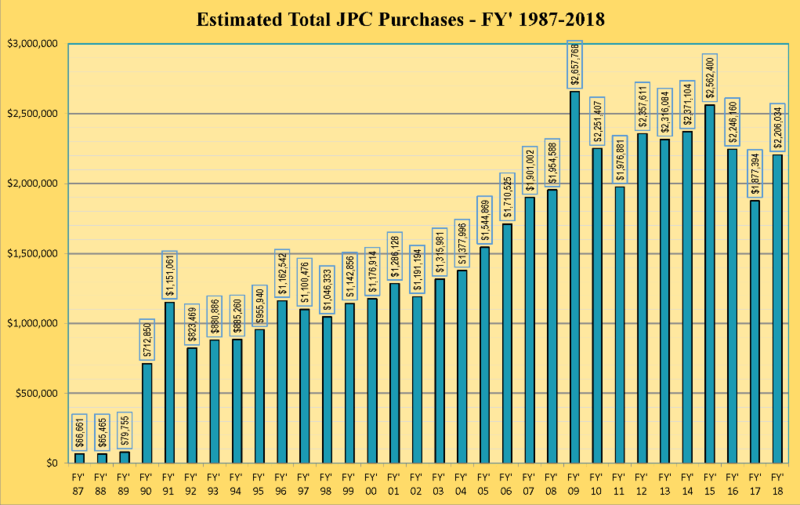 Members of the Bi-State Regional Commission created the Joint Purchasing Council (JPC) through an intergovernmental agreement in 1987. To become a voluntary member of the Joint Purchasing Council cities or Counties must be a member of the Bi-State Regional Commission. Membership also requires approval and signing of the JPC Intergovernmental Agreement by all parties. The local governments’ membership dues to the Commission support the program. Entities associated with a local government are able to participate with the approval of the local government. The mission of the Council is to lower costs by volume buying through a competitive bidding process for the goods and services, reduce duplicative administration costs, and provide for the exchange of information and expertise among purchasers. The Council believes in quality buying, which is the buying of materials, goods or services, which will fulfill but not exceed the requirements for which the goods are intended. Buying proper quality depends on having proper specifications and checking material brought against the specifications. The Council holds meetings at the Bi-State Regional Commission, 1504 3rd Ave, Rock Island, IL on the third Tuesday of every other month at 8:30 a.m. This forum is used to inform Council member governments of joint purchases of the Council and other purchasing activities. Educational presentations on the items they intend to purchase and industry changes are held as needed. The meeting is open to all city, county, and associated agency staff who will be involved in purchasing goods or services for their agency or department. All listed members of the Joint Purchasing Council are eligible to submit items for bid. They are also eligible to purchase any and all items listed in each bid document whether or not they submitted items into the bid document. The following entities are eligible to participate in the Joint Purchasing Council. The products and services the local governments buy shall meet all he specifications supplied and the vendor agrees to provide. This will help the Council’s bid participants obtain quality products and services that minimize expenses, contribute to cost control and in many instances a greener and healthier workplace. All bid specifications are mailed to vendors in good standing and on the list for those items. Many of the bids will also be advertized in the local Argus/Dispatch bid notice section. The Council’s bid participants all use authorized purchase orders or letters of confirmation for all purchases after the bid is awarded. The Bid Tabulations and award letters are not contracts for the purchase of the goods or services. Only, authorized purchase orders or letters of confirmation are contracts for purchase. All deliveries must made according to delivery instructions provided by participants. The Joint Purchasing Council reserves the right to reject any and all bids, to waive irregularities in a bid, or to accept the bid which, in the judgment of the bid participants, is in the best interest of the Joint Purchasing Council bid participants. All suppliers participating in the Janitorial, Can Liner and Food Service Supplies bids must provide product samples during the first week of January each year for all items they bid. All new suppliers are required to submit basic information about their company. Please fill out the attached form and e-mail it to ppearson@bistateonline.org.